Do you want other makeup application videos besides eye makeup? Neutrals vs. colors... what do you like? I have well over 300 videos. I don't expect you to see them all... but I have done a lot of different things, so the more specific your suggestions, the better! Thanks everyone! Have a good day! I like when you do celebrity looks. It would also be cool if you did some different lipstick/lipgloss combos. I think people really like glamorous looks - or at least I do :D You could do things for different seasons - how to look cute in winter and bronzy in summer... and airy in spring. Or do combination of colors that no one has really thought of! I love your tutorials!! I've been trying a lot of the colors (even purchased a bunch of CS pallettes) however by the end of the day the colors always look Black-ish. Even with primers and bases... So I think I'll stick to neutrals. I love your neutral tutorials. Celebrity looks are fun too, loved the Julieann Hough look! Hi Em!I was thinking of a request last night! Can you mix and match some colorus from the Creative me pallete? Maybe the more vibrant ones like orange! I've also ordered for one soon after you did.. I'd like to see you do more looks from this particular pallete.Many thanks! I love all your tutorials, but I'd like to see more variations on neutral/everyday looks. Also, some application tips for blush and contouring, as well as advice on choosing the best shades for various skin tones. For instance, I'm really fair-skinned, so my skin really shows the differences in various shades. I'm sure darker skinned people have different issues regarding color selection as well. You should do a taylor swift tutorial. Taylor has some great makeup looks! As well as that though, celebrity looks are probably always the best way to go. Celebs are everywhere, so doing their looks will attract more viewers. I think it would be good to see a colour theory tutorial. Some people get these palettes with all these colours and perhaps they have difficulty deciding what colours go well together and what colours work better as lid colours, crease colours, or outer corner colours. I think that might help with the problem someone else mentioned about their colours ending up all blackish on their eye. I second JuliaC! I'm one those people, Emily. Neutrals v. colors would be my choice. I always think I look like a drag queen when I use color. I need better advice! I would like to hear any tips on how to do makeup for large pores or rosecea. Happy holidays! I would also love to hear any tips for oily skin and how to apply makeup to oily skin and make it last throughout the day. I'm a fan of technique-based tutorials. I can't believe the difference it made when I learned how to apply color to my crease or a proper "outer-v"..I think so many women/teens don't know how to apply make-up. I didn't even know about lid primer until I watched your videos ..! I also appreciate your feedback on new items .. for example, the review you did on the hard candy concealer palette..I nearly bought that & after hearing your opinion am so glad I didn't. It keeps may keep us from wasting money on something that will sit in a drawer .. or may help us decide to purchase a product we were on the fence about and end up loving it! grr.. "may keep us" .. sometimes I get excited and type too fast! I think you make great tutorials! I would love a few looks that look very natural and require as little makeup and steps as possible. Something very minimal with the eye makeup, almost like not wearing makeup at all. I just purchased the 88 warm palette from coastal scents (after viewing a few of your tutorials using the palette)! I think it would be great if you could do a few more looks with that palette that you feel someone wouldn't think of. Unlike obvious looks like smoky eye. Thanks so much for your time! I also think it would be great to learn more techniques with the face, like contouring. Maybe different foundation looks, like dewy to matte, etc. Thanks! Could you maybe do a video on contouring? I have no idea how to do that! And I know you have brown eyes & brown hair, but is there any way you could show some stuff that would be good for blonde hair/ blue eyes. Hi Emily, I think your Blog and You Tube channel is perfect! You should become a Beauty Editor. Thats what im aspiring to be. Beauty is my passion. You and all your readers are welcome to check out my blog at emanticoff.blogspot.com (PRETTY IN PINK GLOSS). 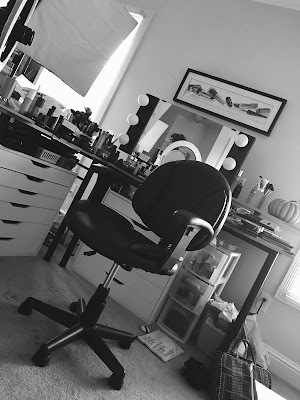 I am a Freelance Makeup artist and Beauty Consultant from New York City. I look forward to all of your comments on my blog. Chow for now my Beauties! I've recently discovered micas/pigments, and I'd love to see a tutorial on how to use them! I've already seen a couple tutorials you have using pigments as eyeshadow, but I'd like to see more things (foiling, using them as blush, on the lips, creating your own eyeshadows/nail polishes... that kind of things). Also, I love your review videos, they are so useful (although sometimes is a bit frustrating when I can't find some products here in Spain). I'd love to see you do specific bare minerals looks. I find that I have no idea how to really combine these loose shadows and they get so messy to deal with! 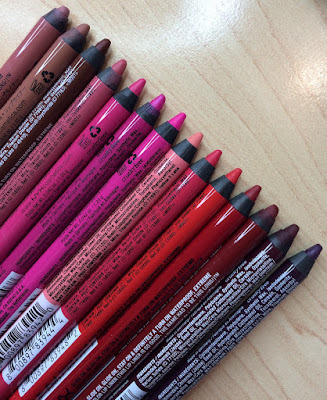 Also, I'd love to see a specific tutorial on eyeliners - like crayons vs. wet vs. gel. I would love to see videos of makeup besides eye tuts.. like lip colors! I would love more reviews on great matching lip combos for liners and gloss and stick! or blush combos! =] Everyone does eyes! Happy newyear btw and Happy belated birthday! I would like to see you do a tutorial on make up for older women. What suggestions you have from start to finish.